Wave FM owner DC Thomson Media has added to its radio portfolio with the acquisition of Kingdom FM and Original 106. Dundee-headquartered DC Thomson Media has acquired two of Scotland’s biggest commercial radio stations. 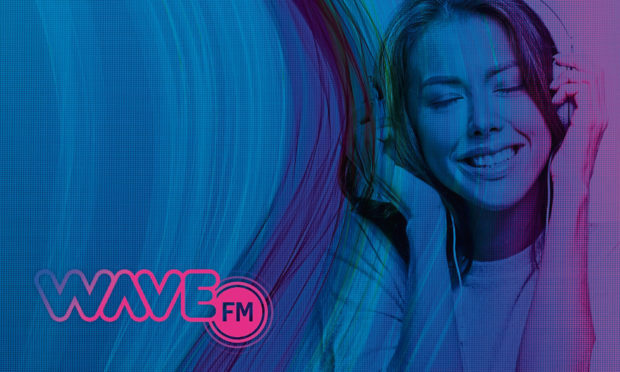 The purchase of Fife-based Kingdom FM and Aberdeen and Aberdeenshire broadcaster Original 106 adds to the group’s existing radio portfolio following the purchase of Wave FM in 2017. “These acquisitions firmly position us as the largest Scottish owned radio group,” said Mike Watson, chief executive officer of DC Thomson Media. The acquisitions are in line with DC Thomson Media’s strategy to protect, launch and diversify and means the group’s listener base now tops 150,000 from Aberdeenshire to Fife. Original managing director Adam Findlay is joining DC Thomson Media, which also publishes The Courier, as its new head of radio. He said he was excited to join the group and looking forward to the challenge of building DC Thomson Media’s presence in the radio marketplace. “Both John Quinn and I have thoroughly enjoyed being part of the Original 106 success story and recognise that for the station to enjoy continued growth and further expansion, it needs to become part of something bigger,” Mr Findlay said. “DC Thomson Media is the best place for this to happen. “The Original 106 team are amongst the best in the business and this coupled with the strength and talents of the DC Thomson Media team will make for a strong and progressive partnership with the ultimate aim of delivering the very best client solutions”. In his new role, Mr Findlay will be responsible for all aspects of the radio operation across the DC Thomson Media portfolio. Kingdom FM chairman Robert Kilgour, who is stepping away from radio, said the Fife station was now poised to move to the next level. “DC Thomson Media are the ideal buyers for the station as they clearly have an understanding of the market in which Kingdom operates, and can take the station to the next level,” Mr Kilgour said.